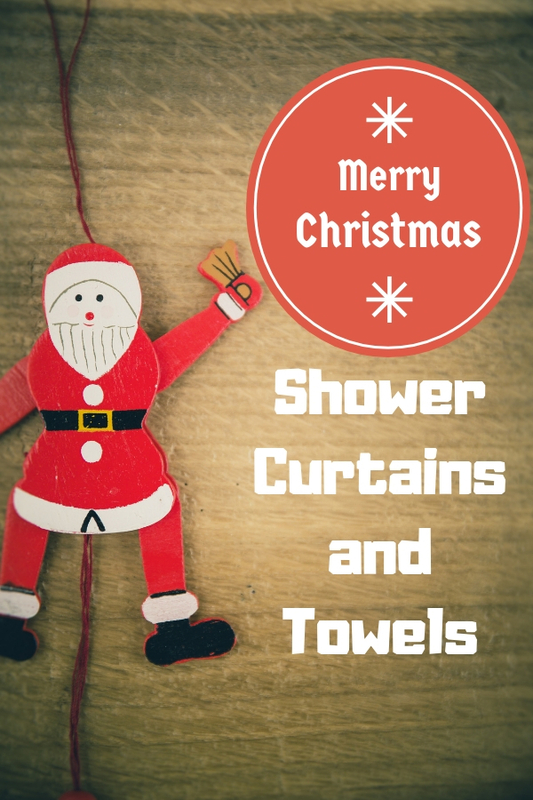 If you found bathroom rug sets are not enough to boost your holiday spirit, then do not hesitate to add on Christmas shower curtains and towels that feature holiday design pictures. This is my secret way to decorate my bathroom all year long. Bathing time is the most relax moment for me. After spent whole day outside and busy with tight working schedule, I love to fully relax myself and enjoy a spray of water while bathing. By having a decorative curtain does not only it prevents the bathing water spray out and cause wet on floor, it also affects my mood. I used to hang the one comes with mountain or ocean design so I can practice a short while of mindfulness by staring at natural landscapes. When come to year end festival, I would like to have one with Santa Claus, snowman, or any other iconic season design picture. I could feel holiday excitement from the moment I step in bathroom till I complete bathing if I have one of the following 5 piece Sets. Apart from floor mat and curtain, they contain a matching design absorbent cloth which you can use it to dry off after bathing.